This year’s music festival season began with an avoidable tragedy, as two young Australians died after taking drugs at Sydney’s Defqon.1 festival in September. The saturation policing and drug detection dogs at the event failed to save their lives. A pill testing service could have. Despite it being illegal, over half a million primarily young Australians have used ecstasy over the last 12 months. Indeed, close to two and a half million Australians have tried the drug at some point over their lifetimes. And due to their illegality, party drugs – like ecstasy – are produced by criminals, with no quality control checks. And neither are the details of ingredients provided on sale. So, this means there are a hell of a lot of Australians taking potentially harmful – if not deadly – substances every weekend. Drug taking practices like these are well-ingrained in the culture. And people aren’t about to stop. Yet, there are no safety mechanisms out there in the community to guard against the potential harms that these unregulated substances can cause. A majority of Australians now support the roll out of pill testing. Federal, state and territory governments are all well aware of the potential this harm reduction method has to save young people’s lives. But, only the ACT government has had the courage to allow trials. 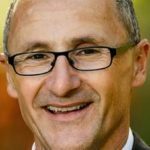 In a much-welcomed development, Australian Greens leader Richard Di Natale last week revealed his party’s plan to open pill testing sites around the country. Staffed by trained health and peer workers, the eighteen permanent sites would open four days a week, with hours to suit local needs. Those utilising a service would receive a one-on-one consultation with a drug and alcohol counsellor, who would not only inform them of the contents of their drugs, but would also advise them about health services that are available if they have a need to access one. As part of the plan, the Australian Drug Testing Agency would be established to coordinate and evaluate the program, as well as to draw together federal and state governments, law enforcement officials and health professionals. 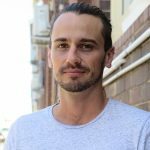 Estimated by the Parliamentary Budget Office to cost $16 million over four years, the pill testing proposal also involves an early warning system, where any information about dangerous pills that have been tested will be communicated via social media and throughout emergency departments. Pill testing services have been saving lives in European countries – such as the Netherlands, Portugal and Austria – for decades. 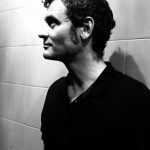 Indeed, this harm reduction technique is so well-established over there that the European Union produced pill testing best practice guidelines. 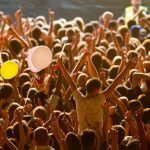 The ACT government permitted the first official pill testing trial in this country be carried out at the Groovin the Moo festival back in April. Two of the samples tested on the day were actually found to contain a potentially lethal substance and these drugs were subsequently thrown out. Sydney Criminal Lawyers® spoke to Senator Di Natale about the benefits the Australian Greens pill testing plan would bring to the community, his thoughts on the old parties’ reliance on sniffer dogs as an approach to illicit substances, and what Canberra’s drug testing trial has shown us. Firstly, two young Australians died after taking drugs at Sydney’s Defqon.1 festival. Their lives could have potentially been saved if a pill testing service was available at the event. What are the implications of Australian politicians continuing to refuse to roll out these services that have been proven to save lives elsewhere in the world where they’re already being utilised? No one can argue that the war on drugs has been successful. It is costing lives and millions of taxpayer dollars, yet only heightening risks for people who use drugs. Where these services have been tested, they’ve been proven to reduce the rates of people who take harmful drugs. Right now, people who consume drugs are relying on the word of their drug dealer – and we’ve seen how that can lead to tragic outcomes. The government has refused to adopt an evidence-based approach – so if a person dies an avoidable death at the upcoming festival season, health minister Greg Hunt will have to tell their parents, siblings and friends why he put an ideology ahead of safety. Last Friday, you released the Australian Greens pill testing plan that would see services opened up at eighteen sites across the country. The plan also involves a national drug warning system. How would this system work? People who use drugs would be able to look up the contents of recently tested pills via an online service, checking for ingredients quickly in the privacy of their home. This would alert users to batches of potentially dangerous drugs ahead of time – extending the benefits beyond the one-on-one consultation. One pill tested could mean many lives saved. This system would be operated by the Australian Drug Testing Agency and list drugs by design or location, in a similar fashion to the advisory service currently employed by the Therapeutic Goods Administration. Pill testing services have been saving lives in European nations for years now. But, for the most part, Australian authorities have ignored the evidence, and have continued on with a zero-tolerance approach to drugs, which includes the use of drug detection dogs. Senator Di Natale, what are your thoughts on the reliance on sniffer dogs? Pill testing is not only the caring and proven approach to illicit drug use, but it’s good for the entire community. The old party’s heavy-handed policing with drug dogs is expensive, breaches the civil liberties of thousands of innocent people, and yet only heightens risks for drug users. False positives account for up to 72 percent of all drug dog indications in NSW, and often result in an uncomfortable strip-search that finds no presence of illicit drugs. These searches predominantly target young people, Aboriginal communities and the poor. This comes at a massive cost. For each festival police attend, government could staff a country police station for an entire year. A 2006 Ombudsman report recommended the immediate end of the program in NSW. Australia’s first government-sanctioned pill testing service took place at Canberra’s Groovin the Moo festival last April. What would you say was learnt at that event about the potential impact pill testing services are likely to have in this country? Groovin The Moo has proven that the international experience works in an Australian context, and we’ve learnt that the old parties simply don’t care. The trial was a soft launch, with no advertising for the service permitted. Despite that, there was a clear demand, with 129 people utilising the service at the Canberra festival. Over 40 percent of people indicated they intended to use less or none of the tested drugs, and a potential 20 percent threw them away. 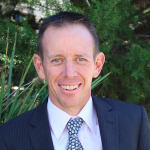 The ACT health minister and chief health officer both described the trial as a “success”, with 96 percent of users saying it was “good” or “very good”. The evidence is clear, and we’ve learnt from it. Governments from across Australia have stuck their head in the sand to avoid paying attention. In response to the recent drug-related deaths at Defqon.1, the NSW government announced it was going to intensify its tough on drugs stance. It plans to create a new offence of drug supply causing death, with a maximum penalty of 10 to 25 years prison time. What do you think about the Berejiklian government’s response? The Berejiklian government’s response not only ruled out the best option for saving lives, but seems explicitly designed to make the situation worse. Many people source their drugs not from a drug dealer operating for profit, but from a friend attending the same event. Were a fatal overdose to occur, their friend could then find themselves behind bars for up to 25 years. This proposal would end up needlessly taking two lives over one overdose. And lastly, Senator Di Natale, you’ve just released the Australian Greens pill testing plan. What’s next from here in making this proposal a reality? Since launching this program, we’ve had tremendous support from the community, harm minimisation advocates, and health professionals – but the government has turned a blind eye. The tide is turning, and people are realising that we’ve already lost the war on drugs. By putting more Greens in federal and state parliaments, the community can add their sign of support to an evidence-based harm minimisation approach.